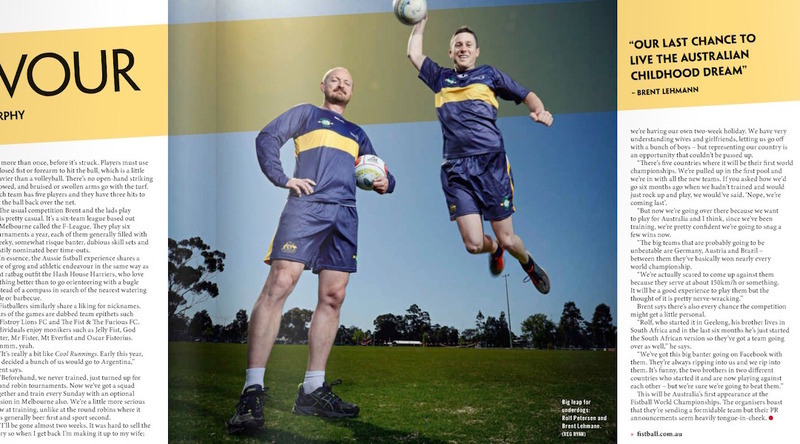 The Geelong boys are once again in the news, this time getting a glossy two-page spread in The Weekly Review magazine! Carl was unavailable, but Brent ‘Jellyfist’ Lehmann got another crack a photo shoot, this time with President Rolf ‘Godfister’ Petersen by his side. « Brent ‘Jellyfist’ Lehmann and Carl ‘Carlossus’ Creasey featured in the Geelong Advertiser	» The Fist & The Furious are 2015 F-League Champions!